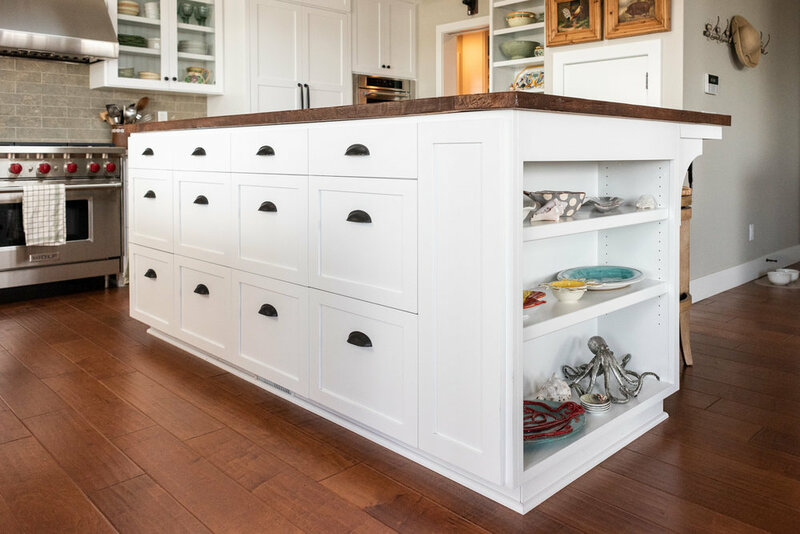 Coastal Craftsman by the Bay — Sligh Cabinets, Inc. 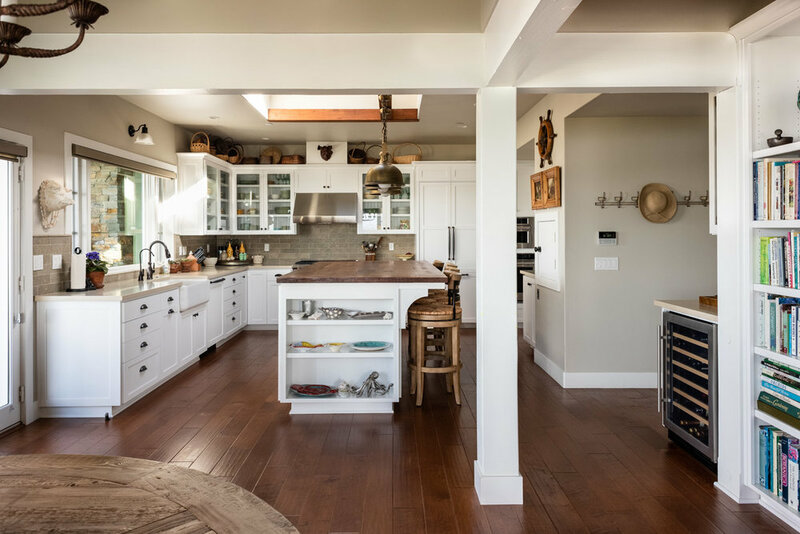 This quaint Coastal Craftsman is nestled in the hillside by the water overlooking Morro Bay, California. 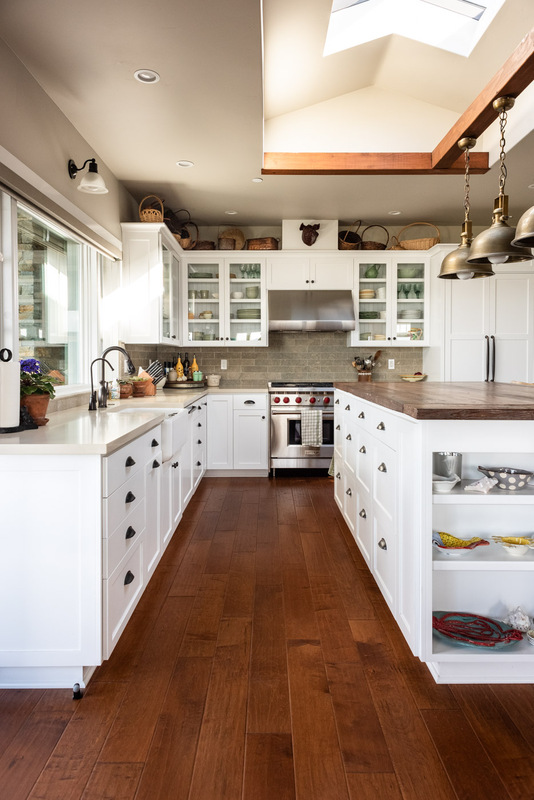 It is the perfect blend of shaker style cabinetry, whites, neutrals and warm wo0d tones, creating a refreshing and inviting living space. 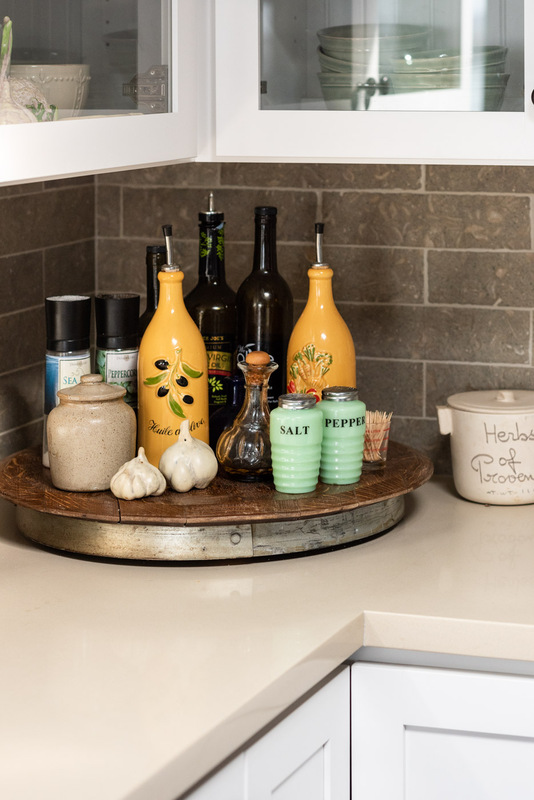 This L-shaped kitchen layout and large bar-height island allow for entertaining and food preparation space with ample amounts of storage. 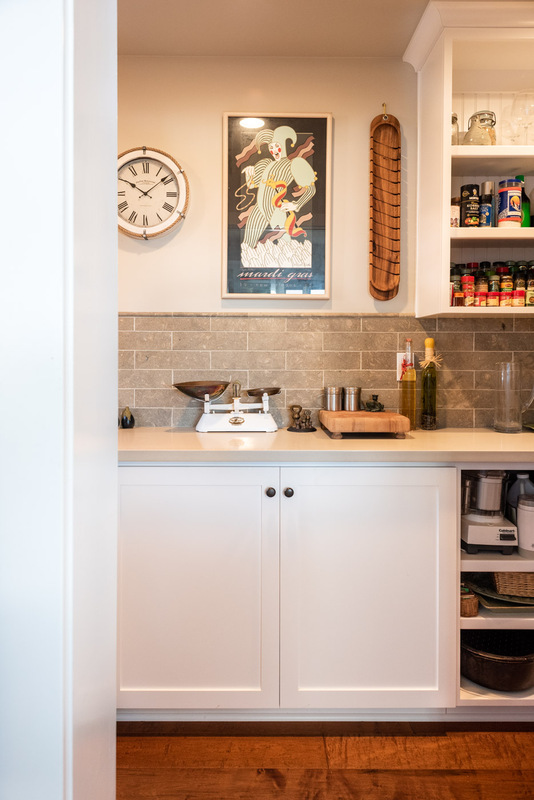 The paneled dishwasher and refrigerator create a consistent visual aesthetic, carrying the white cabinetry across both walls. 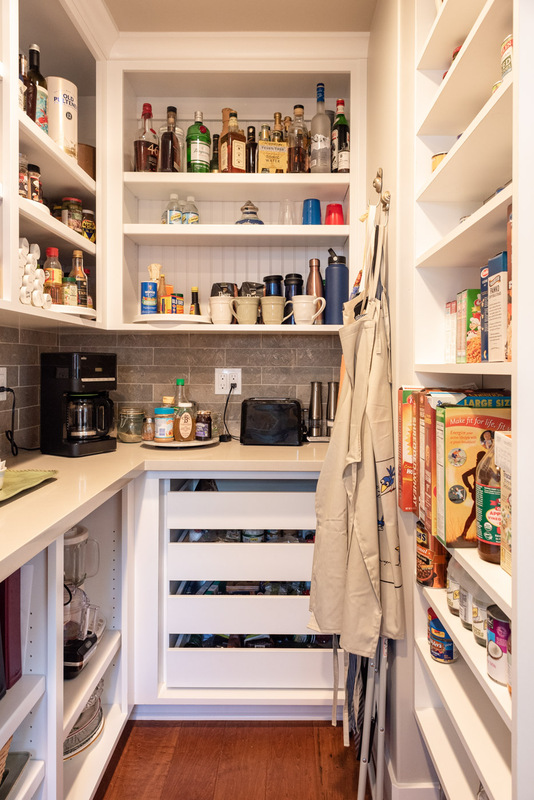 A pocket door leads into a moderate size pantry which includes a prep sink and plenty of food and appliance storage. The custom built-in bookcases are any avid readers’ dream come true. 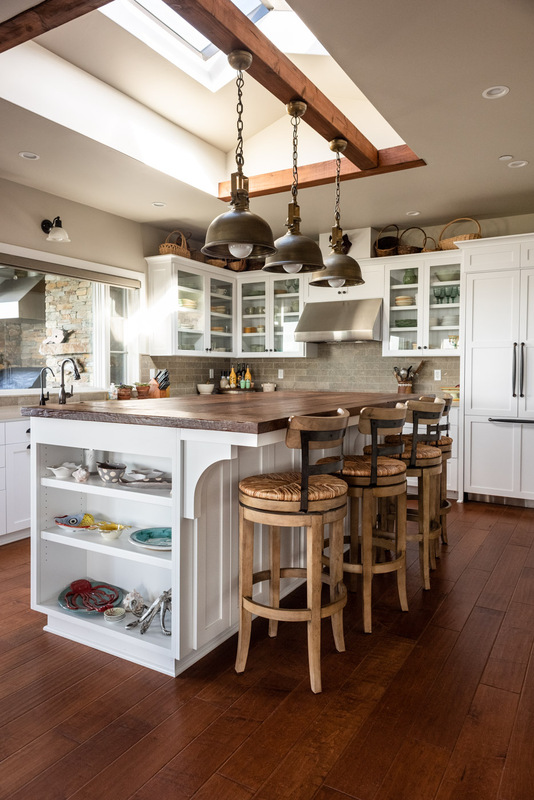 A large expanse of open shelving in both the entry and the living room lines the walkway to the living room, kitchen and dining areas. The hall bath features a custom white vanity with charming furniture base feet. 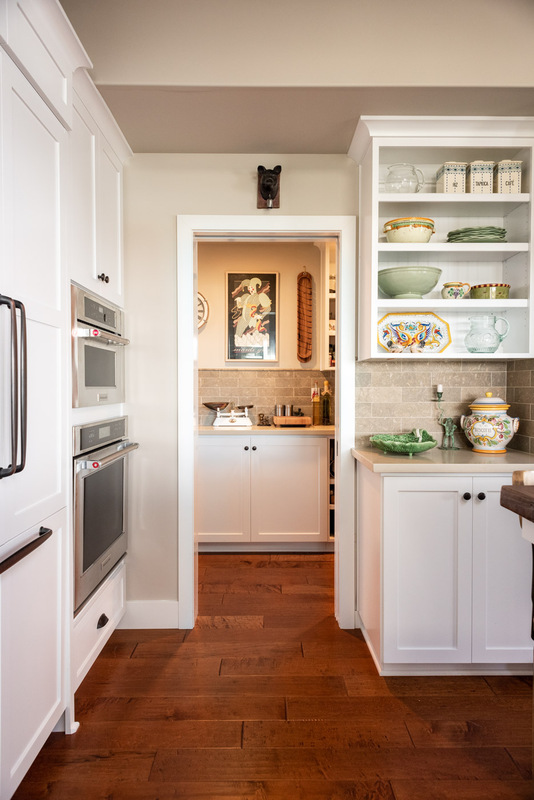 Just a few steps across the hall, the master bathroom vanity maintains a consistent coastal charm with a sky light, rustic wood frames and white shaker cabinet doors. 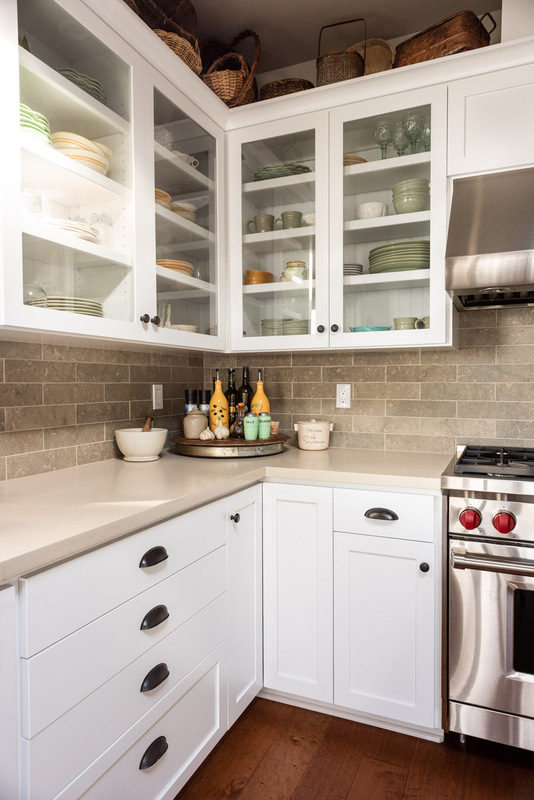 Finally, the large laundry room provides extra storage with ceiling-height linen cabinets and plenty of countertop space. 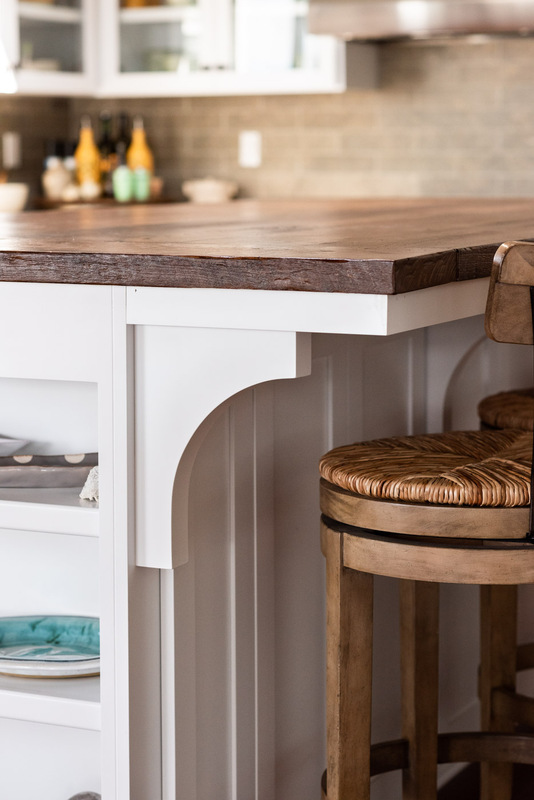 Here you’ll find our best tips and design inspiration for your next custom cabinetry project. 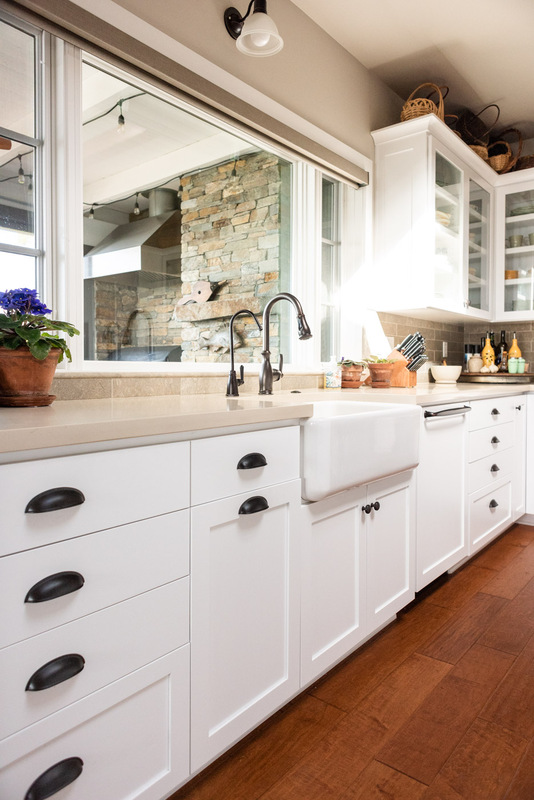 We want you to feel informed and inspired when it comes to designing your new kitchen, bath, remodel or dream home.